Well seems we are waiting…waiting on little Ruby Kate to make her arrival, bags are mostly packed and now we wait. I can’t believe it’s been almost 9 months…I guess 8 since I found out we were expecting. That time is so slow in the beginning but flies by at the end. This pregnancy has been so different. I guess when you are busy with two little ones, your days of daydreaming for 9 months are over. You’re too busy to daydream much. You can barely remember what your name is half the time. I thought while I was waiting I would jot down a few things about this pregnancy I did not want to forget. The next time you see me make sure I have copied this into Ruby Kate’s baby album…on my list to do. > I have so CRAVED grape popsicles during this pregancy. I DO NOT mean the popsicles that come in the box with red and orange options. I mean REAL grape juice popsicles by Edy’s. The GOOD kind. I could eat them by the dozens. > I have almost become averse to drinking milk. I think it’s the heat because I LOVE milk, especially my milk from the dairy. > Ethan calls the baby “Roo Roo Kate”. I LOVE it! He evens knows where she is right now, in Mommy’s tummy but also sometimes thinks she’s in Ellie’s tummy or in his tummy. God love that boy! > I have been much slower going and more tired this time around. Not sure if it is age or the fact that I am chasing around two little ones this time. Either way, this Mommy is pooped! > I have been very much a home body during this pregnancy. I guess the heat added with the reality of dragging Ellie and Ethan both has kept my hinney at home! > Ellie has been so excited to be a big sister again! She said the other day she is going to be the big sister to “TWO children”! She’s a GREAT big sister. > This pregnancy has been a little harder because we’ve missed having Daddy around all the time. He has been instructing at OCS and has been very busy. We are looking forward to the time off he will take after Ruby Kate’s arrival. > I taught myself how to crochet a baby hat for little Ruby Kate. Is it perfect? No, of course not but I LOVE it. It’s turned out kind of long and a little pointy but I am hoping it will stretch! Go me! > I’ve gotten a good bit of smocking and sewing done for Ruby Kate and Ellie during this pregnancy. I guess my desire to sit has helped that along. I think I have smocked about 7 dresses total, including a set of matching dresses for the girls (sorry Ethan) and I have even already smocked their matching Christmas dresses! Thanks for that suggestion Mom! 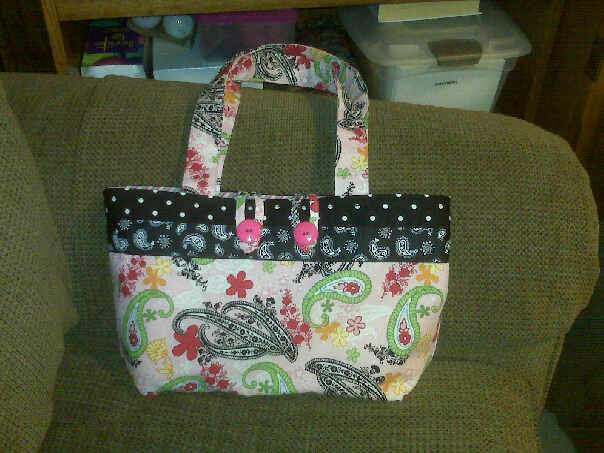 I even made Ruby Kate’s new diaper bag, of which I am quite proud! Pardon the fuzzy mobile upload. Well as we continue to wait, we covet your prayers for a safe delivery and healthy baby girl! Today is MY birthday! Do it today Ruby Kate…do it today!!!!!! lol Sweet post, she will be here any day! tell, Ethan, he can come and be my baby any time that he wants while you are so busy with Miss Ruby! lol Getting excited?? ?